Math IS Real Life – December 2013 Edition: ornaments! 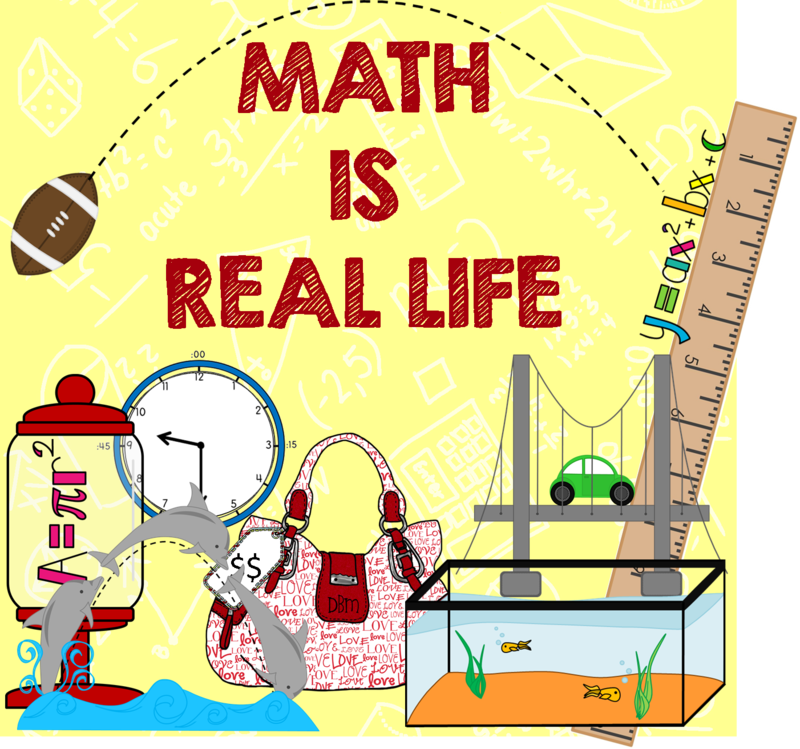 It’s the first Wednesday of December which means it’s time for our linky – Math IS Real Life. If you want to see how the linky works, or just want other real world math ideas, check out the link-ups from August , September , October and November OR check out our Pinterest Board of all the posts so that you can look back and find some great ideas and REAL pictures to use in your classroom! I had planned on writing this month’s Math is Real Life on Thanksgiving dinner and how to prepare for serving large crowds of people. Then I realized…. I ALWAYS make the same amount of Thanksgiving food – WAAAY TOOO MUCH! I mean, you HAVE to have leftovers right?! So…. instead I want to tell you all about using a fun recipe in the classroom! Yep… a RECIPE in the CLASSROOM! Last year I made salt ornaments for each of my students. You can find the posts where I wrote about this fun activity HERE and HERE. This year I decided to step this activity up a notch – partly because it made a huge mess in my kitchen, partly because I didn’t have time to create 50 ornaments on my own, and partly because I’ve always wanted to “cook” in my classroom with my kiddos. Call me crazy, believe me you wouldn’t be the first, but on a Tuesday night, I started packing up the items we would need. A large bowl, a water pitcher, wax paper, cookie cutters, measuring cups, salt, flour, a rolling pin and baggies. On Wednesday during class, I laid each of the items out on the table and handed out the Ornament Math recipe sheet. You can download it for free by clicking on the link HERE. If you look close at the recipe you see that I wrote it was 1/2 c. flour, 1/4 c. salt and 1/4 c. water. The recipe I have always used is 2c. flour, 1 c. salt and 1 c. water. That just seemed a wee bit TOO easy to give them though! In reality, you just need to have 2 parts flour to 1 part salt and 1 part water. My 2c/1c/1c ratio is just about the perfect size to make without the batch getting out of control, or too hard to handle, or too dry. First we decided how many ornaments each student wanted to make. I gave them the option to make up to three (when the day came, they ended up getting to use up all their dough which usually meant 4, possibly 5 ornaments). Above, you can see the mixing area. You may notice that I only had one bowl – that was purposeful. I wanted to be with them as they were mixing up their concoction so that we weren’t adding to much water or other ingredients….. papier mache glue anyone? Below was the rolling area. And… because we really didn’t need our gunky hand prints all over the school…. one of the custodians gave me a 5 gallon bucket to put warm water in for a clean up station. Okay…. so back to the recipe. All the kiddo wanted to have turns making batches, so instead of making a giant batch, we made lots of tiny batches so everyone could get their hands in! But the mess soon turned into nice balls of dough! Then we rolled out put the dough. It was hysterical that none of them knew how to do this. We spent lots of time talking about adding flour and how to keep the dough moving…. flip and turn, flip and turn…. BUT soon, they got the hang of it! …and started to form their ornaments. We put each ornament on a small piece of wax paper with their name on it. The ornaments quickly took over the room! Thankfully… cleanup was a breeze! Glad we thought to cover the tables over beforehand! After a loooooong weekend of banking (pretty sure my stove worked over 16 hours a day for 2 days plus a few spare hours throughout the week!) I repacked all of the ornaments in a baggy for each kiddo (since they had laid claim to their own with the wax paper) and then sorted them by class to make it a wee bit easier to hand them out the next day. Then the decorating fun began! Kiddos used sharpies and pipe cleaners to make their ornaments colorful and fun! They had to be very careful with some of the thinner ornaments so they didn’t break. Also, dropping these ornaments is a bad idea! In the next few pictures you can enjoy some of their designs. This project was an absolute blast! I was surprised by how many kiddos had never measured out ingredients. We ended up having some pretty cool conversations about how to dry measure. We also chatted about how to add water slowly because you can always add more, but you can’t take it back out. I can’t imagine ever doing this project any other way…. Now I’m excited for doing this again next year… maybe in 2nd semester we’ll make food to eat… they requested pizza….. hmmmm?! Categories: #mirl, computation and estimation, fractional reasoning, geometry and measurement, hands-on math, holiday, math is real life, mathematical engagement, and number and number sense. Looks like you guys had so much fun! I wish I had the gumption to do a project like this in class! I’m looking for your ornament math recipe worksheet. Do you have it available for download? I am trying to do this activity tomorrow! yay! I’d love if you emailed me some pictures so that I can share them on my blog or facebook page! Have a blast!